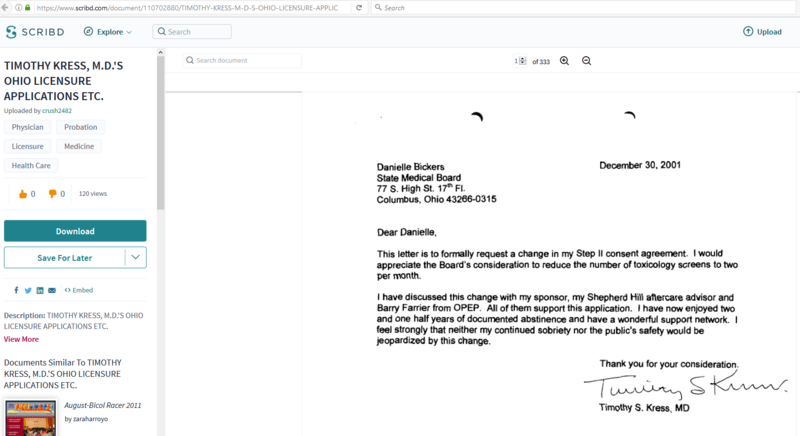 Former abortionist at: Bedford Health Center - Planned Parenthood Scribd.com -- Timothy Kress, MD applies to have his drug test requirements changed by the Ohio Medical Board Note: Dr. Kress also works at "Abby's Place," a birth control clinic in Dayton, OH. Abby's Place does NOT provide abortion. Timothy Scott Kress' medical license is reinstated, subject to probationary terms. See page 16. After being disciplined for substance abuse, Timothy Kress requests the Ohio Medical Board to adjust his mandatory drug test requirements. The Ohio Medical Board issues the permanent revocation of Timothy Kress' medical license based on his concession of guilt to six felony counts of drug related charges. The Ohio Medical Board issued a consent agreement staying the revocation of Timothy Kress' medical license, and placing him on indefinite suspension until successful completion of drug treatment program. See Timothy Kress' drug conviction info on page 2. 1999: Details concerning 6 felony convictions related to drugs. Includes ensuing medical board suspension, etc. The Ohio Medical Board reinstates Timothy Kress' medical license with restrictions for practice at Planned Parenthood. The Ohio Medical Board votes to release Timothy Kress from the terms of his license restrictions after five years of his working at Planned Parenthood. 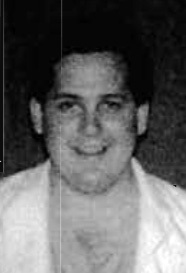 Timothy Kress is a plaintiff in this lawsuit appeal. Timothy Kress, MD is a party in this lawsuit. See document below. Screenshot: Timothy Kress, MD is a party in the Thomas v. Bethesda Hospital case #A9807345.